Cary, NC – File this recipe under Homesteading. Turn your bones, shells and table scraps into delicious cooking stocks you can use for future meals. My friend Matt turned me on to the idea of Homesteading – making your own products for the home. Matt makes beer, wine, cheese, smoked meat. Guitars. Some folks in Cary raise chickens for the eggs. Lots of people grow kitchen vegetables or can fruit. Couple of people probably make Moonshine. It’s all Homesteading. Making stock for cooking – in this case, chicken, beef or lobster stock – is satisfying and easy. And the stock is a wonderful addition to soups, pasta, stir fries and stews. The key to using homemades stocks in your cooking is to freeze the stock in ice cube trays and transfer them to a zip lock bag in the freezer. Remember to label the bag. Unfreeze a cube or two when a recipe calls for stock. When you cook a whole chicken or chicken parts on the bone – roast, grill or smoke – save the bones. Throw them in a ziplock bag in the freezer. Include any leftover scraps except organ meat (heart, liver, gizzard). When you have a full bag of bones, you’re ready to make Chicken Stock. Fill a large pot about 3/4 full of water. Dump in the bag of frozen bones. You can add anything else you’d like to flavor the stock, like onions, carrots, celery, but I like to keep it simple. Maybe a bay leaf and some salt and pepper. Heat until boiling, then lower to a simmer. Continue simmering for 6-8 hours. Let the stock cool. Strain the bones and strain again with a fine mesh to get out all the small bits. Chill in the fridge overnight. 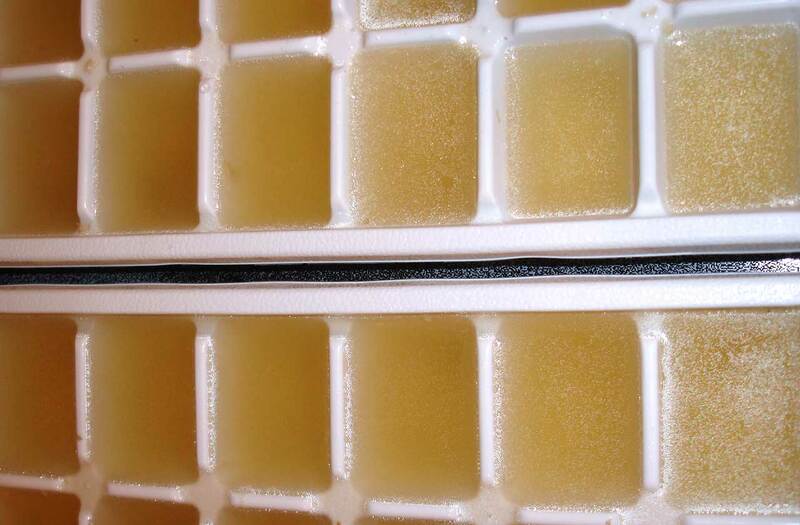 Your chicken stock will turn into a gelatin like consistency in the refrigerator. The fat will have risen to the top. You can easy scrape it off with a spoon. Let the stock return to room temperature and reliquify. Pour into ice cube trays and freeze. When frozen, crack the chicken stock cubes into a ziplock bag and label it. Use your homemade chicken stock as a soup base (chicken noodle, minestrone), in stews, with wine-based pasta sauces or as a sauce base for stir fry. Also great instead of water when making rice. I save all the bird bones to make stock. Turkey stock is great. At my house, we also enjoy quail and I throw those bones in with the chicken bones to add a little extra dimension to the stock. Beef stock – Make the same way as chicken stock. Great for onion soup! 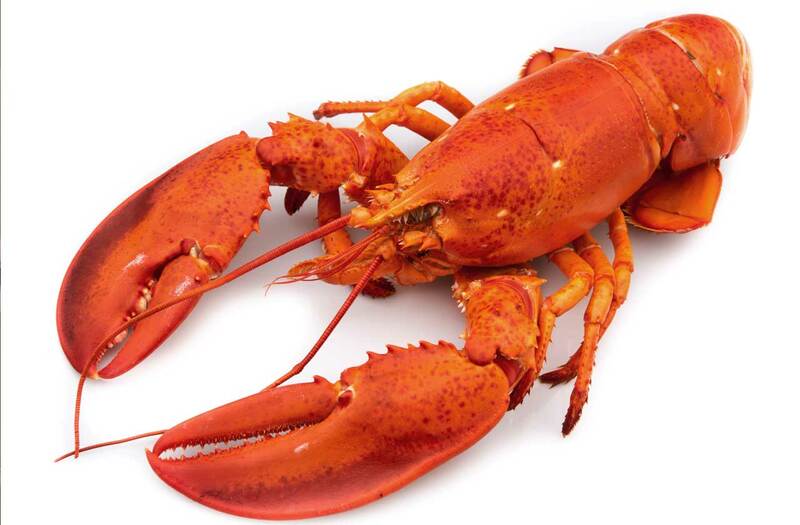 Lobster Stock – Save those lobster shells and boil them for a couple of hours to make an amazing lobster stock. Great in lobster bisque, seafood dishes like paella and jambalaya and Chinese dishes like Shrimp with Lobster Sauce. Fantastic in risotto. Story by Hal Goodtree. First published on FoodCary.com.